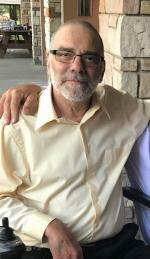 Frank Anthony Iannaggi, 60, from Mantua, OH passed away on March 29, 2019. Frank was born on June 21, 1958 in Cleveland,OH to Gaetano and Corina Iannaggi.He was a baker by trade, working with his family for many years. Most recently owning G&C bakery in Mantua with his wife Bev. Frank graduated from Crestwood High School in 1976 where he excelled in football and wrestling. He went on to coach wrestling at Crestwood for 18 years. Where he was loved and respected as Coach I.
Frank was preceded in death by his mother, Cornia Iannaggi, and nephew, Tommy Iannaggi. He is survived by his wife, Bev Iannaggi (Zilke), his daughters Angela, Julianne, and Christina Iannaggi and Heather and Sarah Smith. He was the best pop-pop to Gabriella and Landyn whom he loved dearly. Also survived by his father, Gaetano Iannaggi; siblings, Carm Mormile (Bob), Joe Iannaggi (Laura), Tom Iannaggi (Lisa), and Gina Perlatti (Tony); nieces and nephews Mike and Steve Mormile, Jennifer Manzo (Mike), Melanie Holochwost (Anthony) , Cori Iannaggi, and Cassandra and Marissa Perlatti; great- nephews Max Mormile and Dominic Manzo; and how German Shepard Apollo. A celebration of his life will be held on Friday April 5, 2019 at St. Patrick’s Church at 313 Depeyster St. Kent, OH 44240. Greeting from 9:30- 10:30AM followed by mass at 10:30AM. Frank was a huge Ohio State Buckeye fan and everyone is encouraged to honor him by wearing Ohio State apparel.